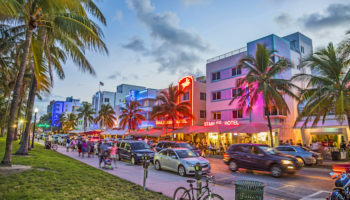 Florida, also known as ‘The Sunshine State,” is the southernmost state in the continental United States of America and is highly popular in the tourist circuit. 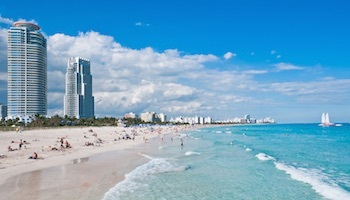 Home of Walt Disney World and the perfect, sun-kissed beaches of Miami, Florida has no shortages when it comes to mind-blowing attractions and destinations. Contrary to all that shine and dazzle that the state is popular for, there are numerous small towns in Florida that are as charming as they are intriguing. For most visitors, the best part of being in DeFuniak Springs is to enjoy its Victorian vibe and to spend their days admiring the splendid Victorian structures spread across the town. However, if you wanted more reason, DeFuniak Springs is nestled around the perfectly circular Lake DeFuniak which is one of the only two of their kind in the whole world! Among other significant attractions in the area include a trip to the Circle Dive Historic Centre and Lake Stanley Park. Hiking, fishing, and boat tours are a great way to explore the little town. This is one of those charming small towns of Florida which makes it to almost every visitor’s list. Located in the Gulf of Mexico, Apalachicola is known for its mouthwatering seafood – no wonder it’s also known as the “Oyster Capital of the World.” In fact, this little town is one of the best seafood hubs in the entire country. Home to more than 900 structures that date as far back as the 1830s, Apalachicola is filled with history. Popular trips around the city include visiting the Apalachicola National Forest and Tate’s Hell State Forest. Located in Orange County, Christmas is a small town known for quite a few things. For starters, it is home to the largest manmade alligator in the world, Swampy. It is also home to an abnormally large post office and endless attempts by residents to promote the theme of Christmas. So, basically, no matter what time of the year you visit, if you are in the mood for some holiday fun, the town of Christmas has it all for you. While here, pay a visit to the evergreen Christmas Tree and if you are lucky, you can manage an appointment to the secretive Christmas Museum. About 22 miles (35 kilometers) from the popular city of Gainesville is the pretty town of Williston. A small, charming town filled with a lot of significant sights, Williston houses the world-famous prehistoric springs and diving sites, Devil’s Den and Blue Grotto, which attracts visitors from all over the country. While here, pay a visit to the Two Tails Ranch for an experience of spotting exotic animals in a refuge and the Great American Railway. If you plan your trip in October, make sure to attend the Annual Peanut Festival. Located on Florida’s Atlantic Coast, Stuart is popularly nicknamed as the “Sailfish Capital of the World”. The town offers immense opportunities for water sports such as fishing, boat tours, and of course, sailing Florida’s Treasure Coast. Not a water baby? No problem. Stuart is extremely popular for its historic heritage including the Road to Victory Military Museum and the Stuart Heritage Museum. If you are in town for the weekend, don’t miss the Stuart Green Market and Live Events that take place every Sunday Morning at the City Hall. 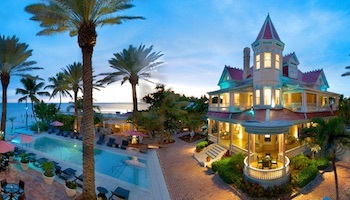 Anna Maria, a barrier island between the Gulf of Mexico and mainland Florida, is characterized by its seven-mile stretch of perfect white, sandy beaches and strict rules of business and construction. An absolute haven for peace lovers, the little island town offers a laid back environment complemented with a bunch of antique stores and art galleries and some lip-smacking seafood delicacies. 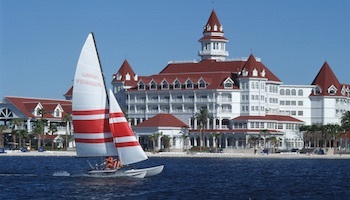 Enjoy kayaking, spot bottlenose dolphins, try stand-up paddle boarding or take up fishing. 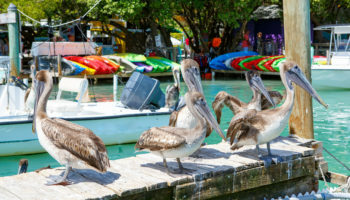 Bird lovers will enjoy the fact that Anna Maria Island is a bird sanctuary. 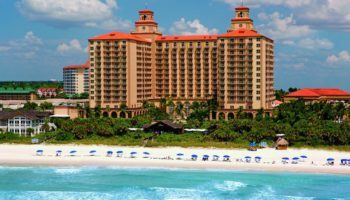 Amongst the oldest towns in Florida, Dunedin is a remarkable combination of distinctive Florida beaches and a substantial Scottish population. In fact, the many Scottish festivities and carnivals hosted by the town throughout the year always keep the spirits of Dunedin alive and kicking. But, that doesn’t affect the charming downtown core – another significant attraction in the area. If you are here in April, don’t miss the Dunedin Highland Games. Also prominent are the two state parks, the four-mile-long beachfront, and the 38-mile-long trail which has immense opportunities for outdoor sports such as cycling, hiking, and walking. Equally beautiful and bloodcurdling, Venice, a city in the Gulf Coast of Florida, is known as the World’s Shark Tooth Capital. Why? Because finding shark teeth at Caspersen Beach, one of the two Venice beaches, is quite common! The other beach of Venice Beach is mostly recognized for its gorgeous coastline and offshore coral reef. A historic downtown with a lot of character due to its Italian architecture dating back to 1925, Venice has a lot of recreational opportunities – swimming, fishing, shark tooth hunting (of course! ), and plenty of weekend entertainment. Established in the 1900s as a fishing village, Fort Pierce has managed to retain its captivating antiquity. 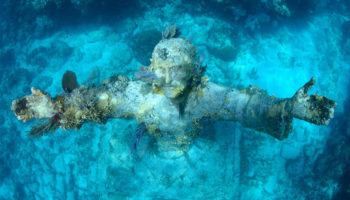 Sometimes regarded as the “Sunrise City,” this tiny town is home to spectacular natural and artificial reefs making it a great spot for diving adventures. Fort Pierce also flaunts an excellent waterfront which is sprinkled with diners offering the freshest fish. However, the one thing that makes your visit to this charming Florida own absolutely worth your while is the 156-mile-long Indian River Lagoon – the largest biologically diverse estuary in the United States of America and home of more than 4,000 species of flora and fauna. If you are in the mood for pure bliss, Crystal River might very well be your place! With the state’s purest spring fed water system, this humbly coastal town is a paradise for lovers of water adventures as well as other outdoor activities. Crystal River National Wildlife Refuge is a prominent tourist spot where you can spot manatees throughout the year. Alternatively, if you are interested in history, explore the ruins of an early human settlement at the Crystal River Archaeological State Park. For some blow-you-out-of-your-mind experiences, try snorkeling among turtles, schools of fish, and exotic marine life in the crystal-clear waters here – the area is known to have a visibility of over 200 feet! 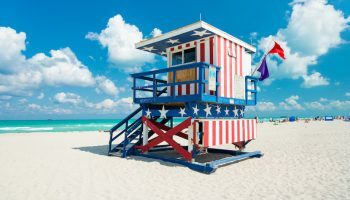 Appropriately dubbed as the “Village of Island,” this little town in Florida is spread across six of the Florida Keys and has numerous lovely beaches for you to sunbathe, swim or stroll. A perfect destination for water adventure enthusiasts, Islamorada is host to several annual fishing tournaments and has excellent opportunities for sail fishing and bone fishing. 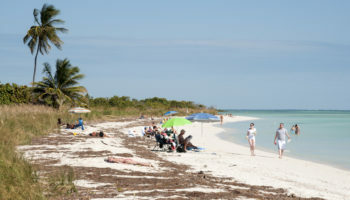 Important attractions in the town include dolphin shows at the Theatre of the Sea, Windley Key Fossil Reef Geological State Park, and the shipwrecks of Indian Key Historic State Park. One of the five communities of Pine Island, Matlacha is regarded as one the most precious hidden jewels of Florida. 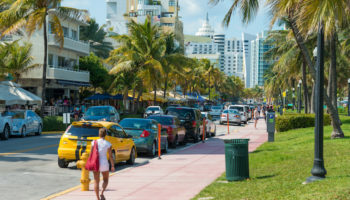 A typical coastal town, Matlacha offers a perfect laidback “Old Florida” vibe and is home to a number of colorful art galleries, authentic Floridian cottages, delicious seafood, and of course, a lot of water activities such as stand-up paddle boarding, kayaking, and dolphin spotting. Visit the historic mounds and the Museum of the Islands to peek into the history of the town. An island city, Cedar Key perfectly defines “low-key”. 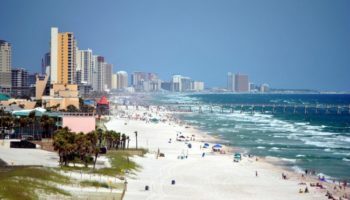 Located in the Gulf of Mexico, the tiny town has some of the greatest beaches in the state and amazing avenues for fishing, bird watching, and kayaking. For seafood lovers, a visit to Cedar Key isn’t complete without trying Tony’s World Champion Clam Chowder and a breakfast at Cedar Key Bed and Breakfast. Considered as “before Disney Florida” by the locals, the town’s best attractions are the old factory ruins and Atsena Otie Old Cemetery. Do you wish to be transported back in time? Do you enjoy attending local festivals? And, most importantly, do you long for peace and quiet? If you answered yes to any or all of these questions, waste no time and head straight to the town of Mount Dora. A quaint little lakefront town, Mount Dora is best known for its century old historic village, 19th century architecture, a myriad of antique shopping avenues, and an unbelievably unperturbed atmosphere. Stay at tranquil bed and breakfasts, stroll around the town, eat great food, visit the lighthouse, and experience brilliant entertainment – ingredients of a perfect holiday! Interesting to see. I will be going to at least a couple of these towns to check them out. I love quaint towns being from one in CT., Westport. Don’t by-pass Mt. Dora……it’s such a quaint and interesting little town………love that place . Another place to visit is Lake Wales…….specifically Bok Tower Gardens…….beautiful. The town isn’t all that great but the gardens and the carillon are so beautiful and relaxing………….!!! Any suggestions for a small, affordable town along the gulf coastline? Thanks. A great small area to relax is Little Hickory Island. It is on Bonita Beach Road near Doc’s Restaurant, Bonita Beach, and Estero Blvd. which runs up to Ft. Myers. Beach is fantastic! Very nice area! Beautiful homes and nearby water inlets.